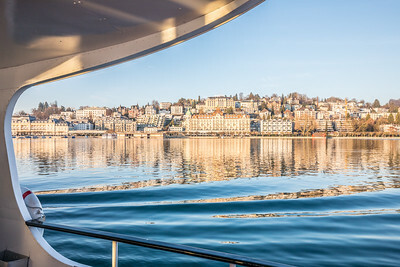 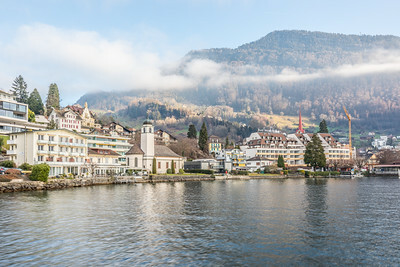 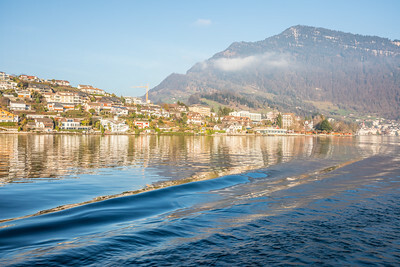 Lake Lucerne has a ferry system that runs hourly. 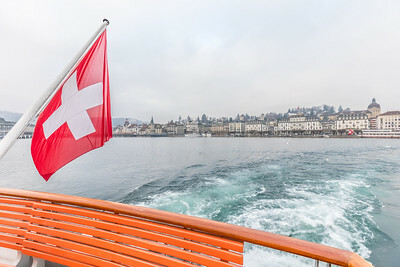 And it can be used with the Swiss Travel Pass so its very easy, just hop on and hop off. 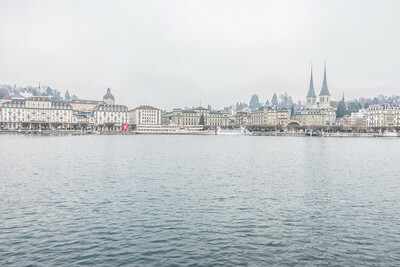 It was a rather cold day to be out on the lake today. 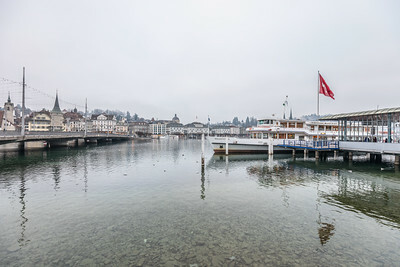 The morning started off with overcast skies. 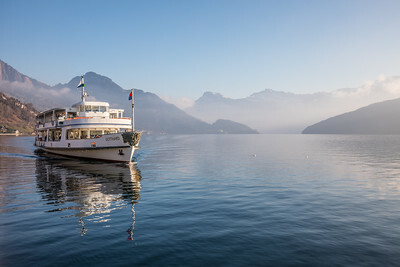 I headed to Vitznau, more or less in the middle of Lake Lucerne. 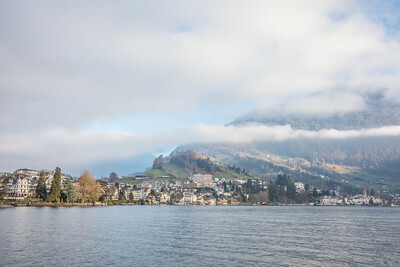 When I returned in the afternoon, the clouds had mostly parted leaving clear but still cold skies.